Swanage has so much to offer everyone: a wealth of attractions to suit all ages, sporting and leisure activities, historic buildings and for the traditional seaside holiday there can be no better choice than Swanage. It is situated at the eastern end of the Jurassic Coast, a World Heritage Site. The attractive town hosts plenty of interesting shops. You will be spoilt for choice with numerous places to eat and drink. Choose from cosy tea rooms, serving Dorset cream teas, hearty pub grub, continental cuisine to eat in or take away, seafood specialities and traditional fish and chips. Swanage is twinned with Rudesheim am Rhein in Germany, the Town Twinning Association being formed in November 1983 after a series of public meetings. Rudesheim is a historic town in a picturesque setting with a similar size population to that of Swanage. 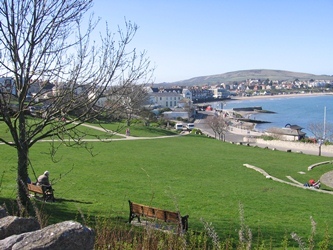 Statistics and information about Swanage Town Profile, and a full ACORN profile of the town, including mapping of the North and South Wards, can be found here. Swanage has a wide range of events throughout the year which will appeal to the whole family. For music lovers, the town offers jazz, blues and folk weekends. Swanage Regatta and Carnival week, which starts on the last weekend in July every year, offers a lively atmosphere of spectacular fireworks, music, dancing and activities to suit adults and children alike. Recent additions to the events calendar are the Swanage & Purbeck Walking Festival, Purbeck Marathon/Purbeck Outdoor Weekend, Purbeck Pirate Festival, and the N1SCO National and European Stand Up Paddle Board Championship events. Please see the Festivals & Events page for further information regarding events held in and around Swanage. The Mowlem Theatre presents a varied programme of films, shows and plays throughout the year, the town has local talent in abundance and the shows put on by the town's various groups are a must. A programme of the theatre's films and shows can be found here. Other attractions in the town are the wonderfully restored Swanage Steam Railway, Swanage Pier and the Swanage Museum and Heritage Centre. Come at any time of the year for a short break, or stay longer to make the most of all there is to see and do. TravelDorset has a range of useful information to help you travel easily around Dorset by car, public transport or other means. This includes up to the minute traffic information, the location and cost of car parks and live information about bus times. For the location and cost of the car parks in Swanage, please refer to the Car Parks & Residents' Parking Permits page on this website.